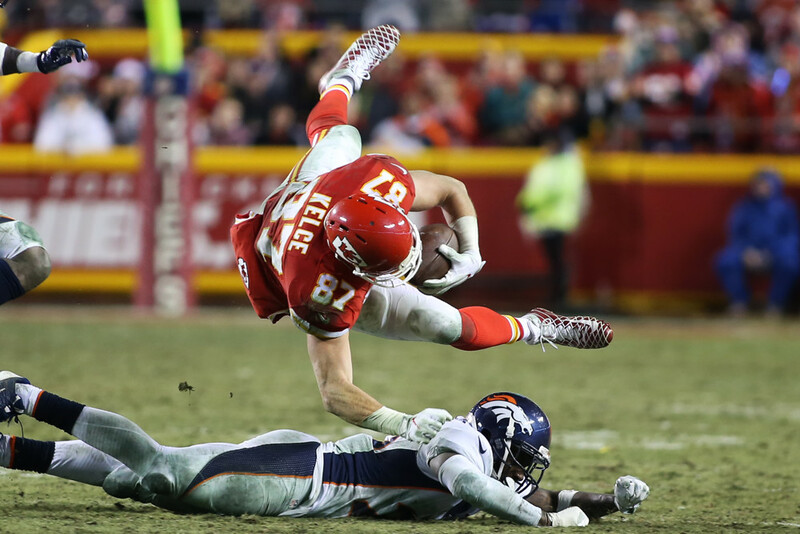 Travis Kelce became a stud overnight in 2014 and has averaged 954 yards the past three seasons, the clear leading receiver for the Kansas City Chiefs. Now he’s being drafted as the second tight end among the top 40 picks. Kelce is great, but one huge thing that separates him from Rob Gronkowski is the lack of touchdown potential. Gronkowski has double digit TDs every season in which he’s played at least 10 games. Kelce has only 14 TDs in his career. He also plays in a weak offense with a troublesome QB situation, where veteran Alex Smith could be replaced by rookie Pat Mahomes at any point. 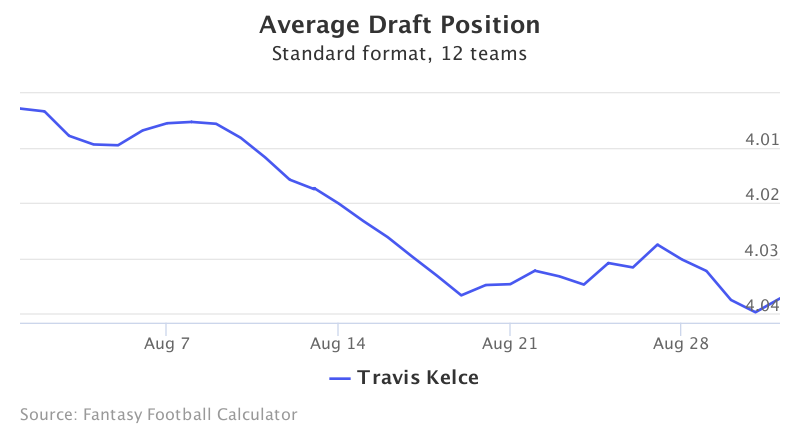 Kelce should still be good - top five even - but he doesn’t stand out enough from Greg Olsen, Jordan Reed, and Jimmy Graham to go 15 to 20 picks earlier. O.J. Howard was huge the past two national championship games for Alabama, and many are expecting big things from the rookie Buccaneer. Some are even drafting him as their starter. Howard has a bright future, but rookie tight ends have almost no history of NFL success. Eighteen first-rounders this century have combined to average just 30 receptions, 317 yards, and 2 TDs their rookie season. Only two had more than three touchdowns, and only Jeremy Shockey had a genuinely useful rookie season. 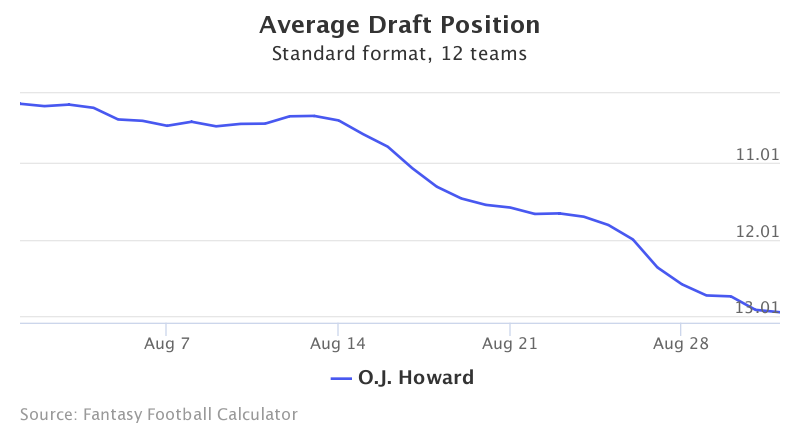 Howard may have value in keeper leagues, but stay away in redrafts. Tyler Eifert has been called Baby Gronk because of the way he racks up TDs with over 0.54 per game for his career. His upside leaves him as TE6 off draft boards, not long after Jordan Reed and Jimmy Graham. But Eifert has been plagued by back, neck, and concussion issues throughout his NFL career. He’s averaged just nine games a season and only 40 yards a game, so it’s touchdowns or bust. Eifert is liable to be a top five TE as long as he’s on the field, but can you really afford to spend a 6th round pick on the lowest scoring position in the draft for a guy that may likely play only half the season? 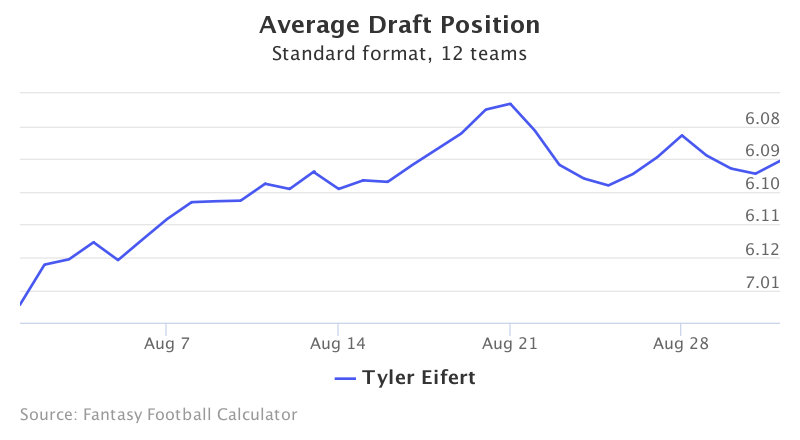 Eifert’s injury history just makes him too big of an injury risk. Martellus Bennett is coming off a big year for the Patriots, and fantasy owners are expecting big things from him this year taking him as TE7 in the 7th round. The problem is the Packers haven’t really been using their tight end a whole lot of late. Green Bay’s leading tight end has averaged just 35 catches, 378 yards, and 4 TDs over the past four seasons with Aaron Rodgers. 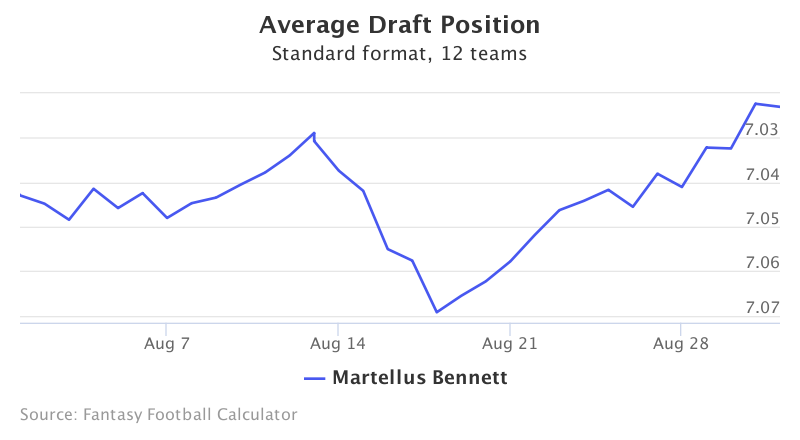 Bennett has good redzone potential, but 7.05 is an overreaction by owners who panic after the top tight ends are gone. Either get a star tight end or wait and take one late. Bennett is no real in-between option.